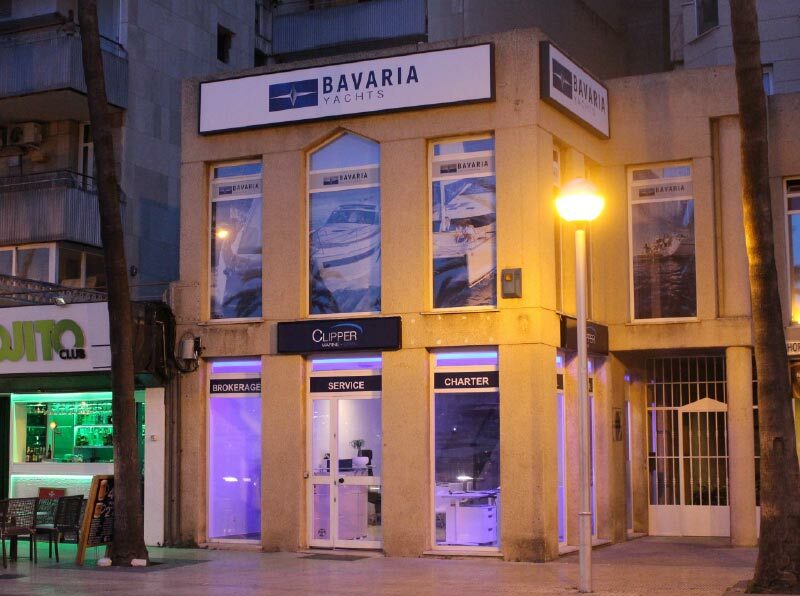 Clipper Marine Expands the Sales of Bavaria Yachts & Brokerage from Their New Office in the Balearic Islands. Clipper Marine, the UK's fastest-growing yacht-broker and the World’s largest distributor for Bavaria Yachts has appointed Michael Heinig to head up its Mediterranean operations. The new office is based centrally in Palma de Mallorca, located only 15 minutes from Palma Airport. With Michael being born in Mallorca he has always been involved with the sea from a very young age, whether it be sailing, diving or fishing – it is even told that he could swim before he could walk! This gives Michael a wealth of invaluable knowledge about boating in Spanish waters. He has been in the boating industry for 25 years with many of those years dealing with Bavaria Yachts. Having developed his passion for the sea into his career he is always at hand. We are committed to providing a First Class and friendly service - Whether you are selling or buying, we deliver expert advice and assistance to ensure that your transactions are carried out smoothly and stress-free. New, Used & Brokerage Sales are an integral part of our growing business, which is currently selling over 200 motor & sailing yachts a year through our offices located in Swanwick, Gosport, Poole, Port Solent and London in the UK. We specialise in covering all aspects of your boat Sale or Purchase. Along with our expansive network of professional partners, we can offer you the very best services in, marine insurance, finance, maintenance, transport, registration and training. Clipper Marine Spain will not be just focusing on selling; we aim to ensure that all the boating needs of our clients will be totally catered for. All of Our offices are open 7 days a week - Be part of our growing success and contact us today. The Spanish Balearic Islands are the perfect location for all year round boating, this is why Clipper Marine has opened its new office in Palma de Mallorca. The Balearics are made up of four Islands; Mallorca, Menorca, Ibiza and Formentera. The largest of which, Mallorca, is the most populated with over 120 beaches, spread over 550 kilometers of coastline ranging from hidden coves and cala’s to long golden expanses of sand. Lying in at the heart of the Mediterranean Sea, the Balearics are a boating oasis with a year round average temperature of 21°C and more than 300 days of sunshine. Whether you choose a sailing yacht or a motorboat, fly bridge or sports cruiser, you and your family can enjoy the experience of being at Sea, lying at anchor in a beautiful bay or relaxing in the harbour. It will be one of the best experiences you will enjoy with your family and friends on a warm summers day in Mallorca. 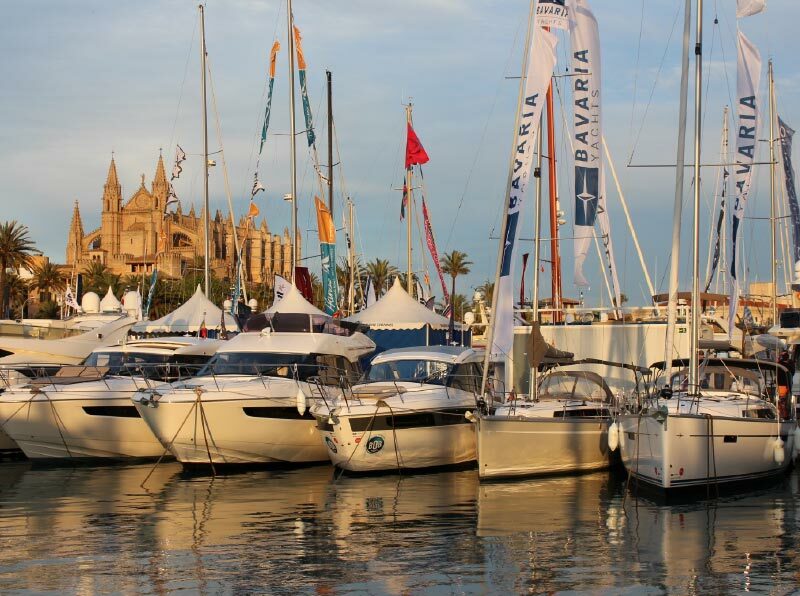 There are scores of marinas where you can berth in Mallorca, with over five marinas in Palma alone - Tie up in Club de Mar or Real Club Naútico de Palma, and stroll into town of where you can visit the historical old town including the Cathedral and browse for unique products and choose from literally hundreds of tapas bars and restaurants. Alternatively if outrageous nightlife is your preference head to Ibiza Town. Take in the boutiques, restaurants and Bora Bora beach before heading off for a night in one of the Island’s Super Clubs. The choice is yours. Whether you are looking for relaxation or a full on adventure you will find what you are looking for Boating around the Island of Mallorca.